We will discuss what 2.5D means in reference to machining, the basics of Adobe Illustrator, and how to mill basic parts using our desktop CNC the Othermill. 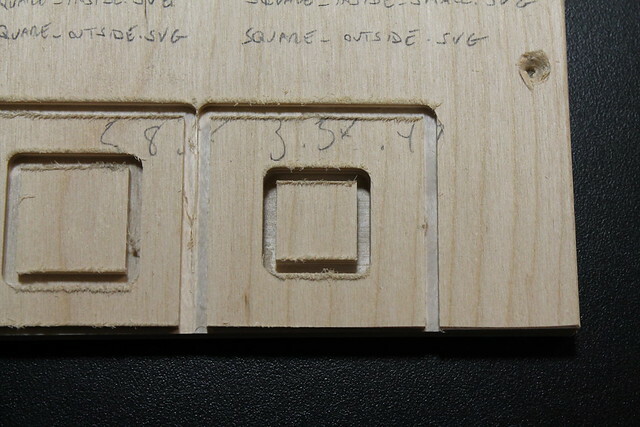 X Axis – The left and right direction on a CNC. Contour/Cutout – A contour operation cuts along a line. 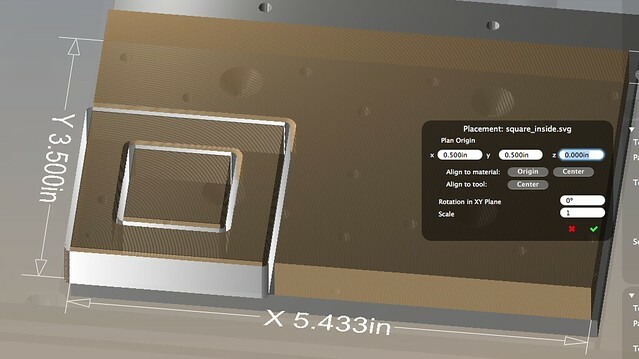 Pocket/Engraving/Etching – A pocket operation removes material inside of a geometry to a certain depth. 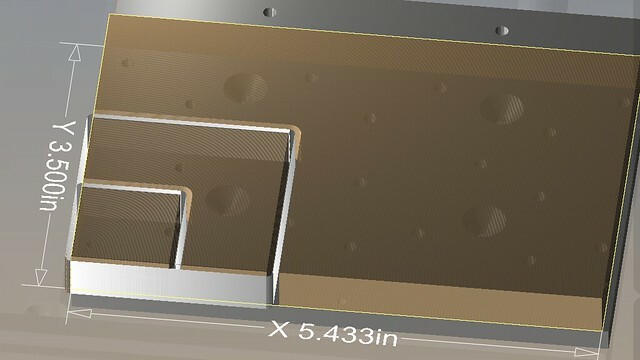 Undercuts – Material removed from under the top surface. Think of a cliff. There are no undercuts in 3 axis milling. Vector graphics is the use of geometrical primitives such as points, lines, curves, and shapes or polygons—all of which are based on mathematical expressions—to represent images in computer graphics. Vector graphics are based on vectors (also called paths), which lead through locations called control points or nodes. Adobe Illustrator is a vector graphics program we will be using for the Othermill (it is also the program we use for the laser cutters). 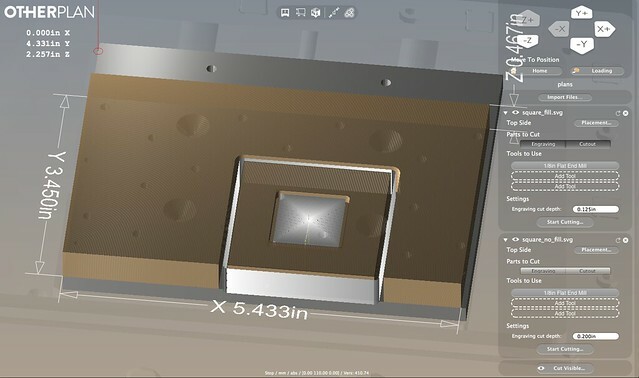 Any graphics program that can produce .svg files will work with the Othermill – Inkscape is a popular free program. If you know the basics of Illustrator, you can start milling on the Othermill. 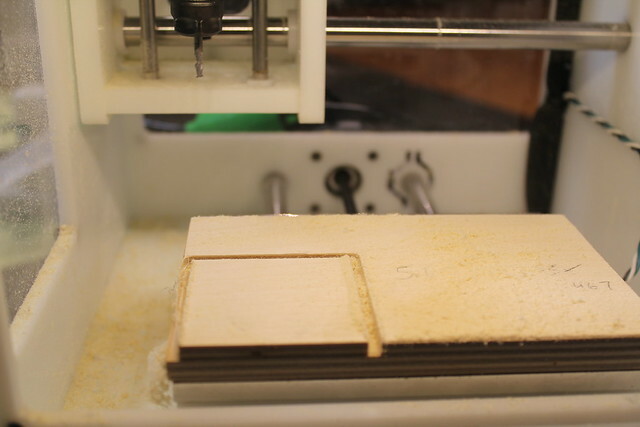 The Othermill is a desktop 3 axis (X, Y, Z) CNC, located in the Soft Lab. You can find the sign-up calendar and machine info on the Othermill Shop Page. I recommend reserving at least an hour, every time you wish to use the machine. Similar to the hand router, end mills are attached using a collet, collet nut, and wrenches. 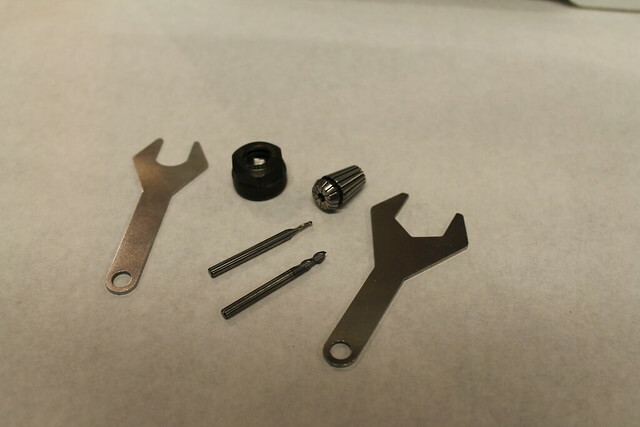 It is good practice to tap the collet and nut on a work surface to free it from dust before attaching the mill. Insert the collet into the collet nut. Thread it onto the spindle. Insert the end mill and hand tighten. Make sure the length of end mill sticking out is enough to perform the intended job (basically, not too short to cut through). Using the two wrenches provided (secured by magnets to the front of the mill) tighten and secure the end mill. When the mill is connected to a computer and is powered up, it will ask to be “Homed”. The X and Y axises will travel to the limits and set the X and Y origins. Then you will need to set the Tool. Choose the correct sized end mill. 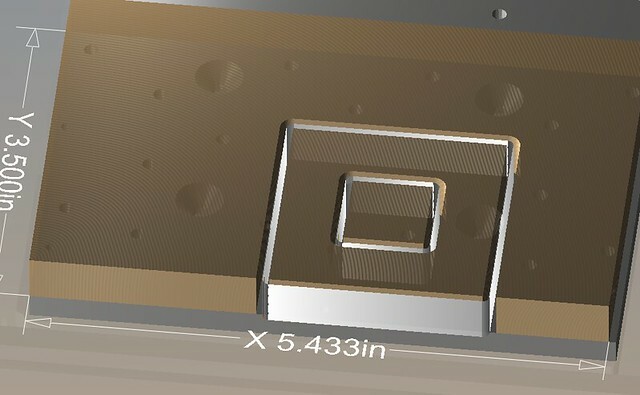 We will be using an 1/8″ Flat. Then you will need to set the Z axis. 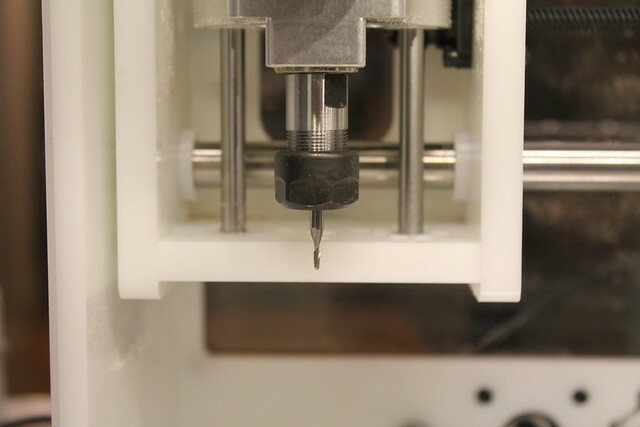 This is done when the end mill comes into contact with the mill bed, an electrical connection is made and then the plunge motor is stopped and the Z axis is set. 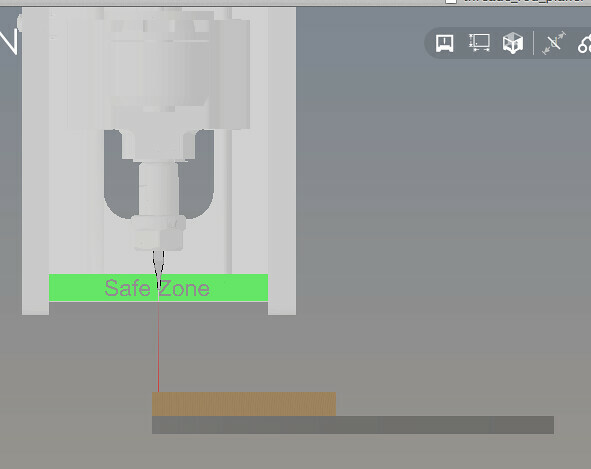 OtherPlan will ask if the end mill is not over and material (not in the red and black area in the image below) and also in the “Safe Zone”. When both criteria are met, it will set the Z axis to zero. This must be performed every time you move or change an end mill. The stock material must be secured to the mill bed before any milling can take place. It must lie as flat as possible. Take care that the material will not move on you during the cutting. 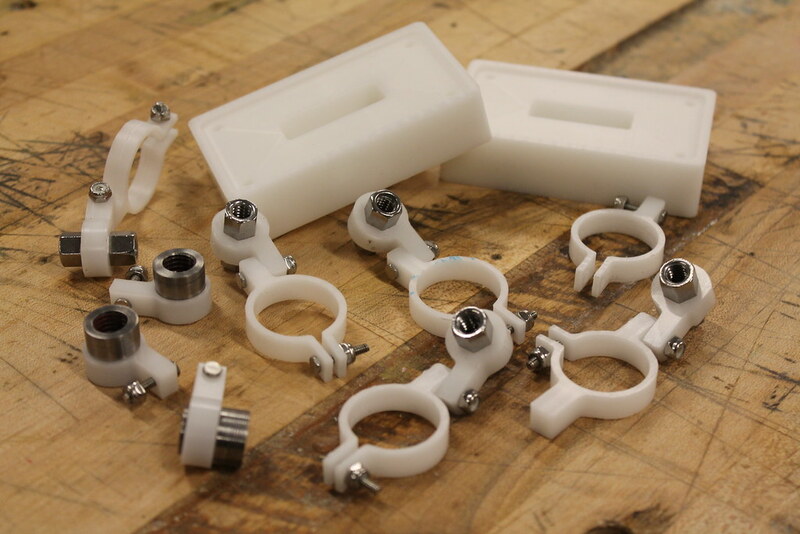 Below are typical ways to mount material to the Othermill. For most mill jobs, a generous amount of double-sided tape should be enough to secure the work material to the mill bed. 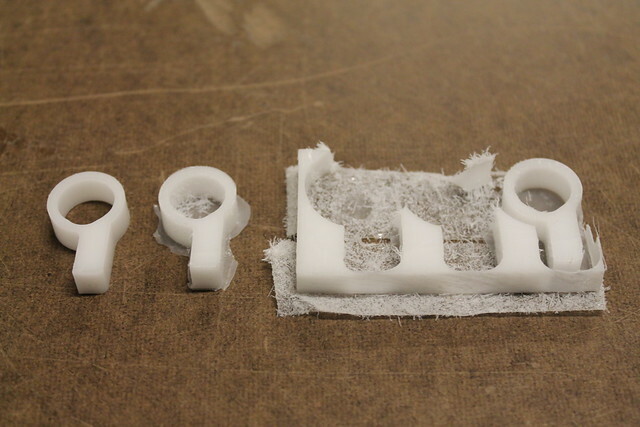 Othermill recommends hot glue as well, but I have had little success with that and removing the glue residue is difficult. Avoid the hot glue method. 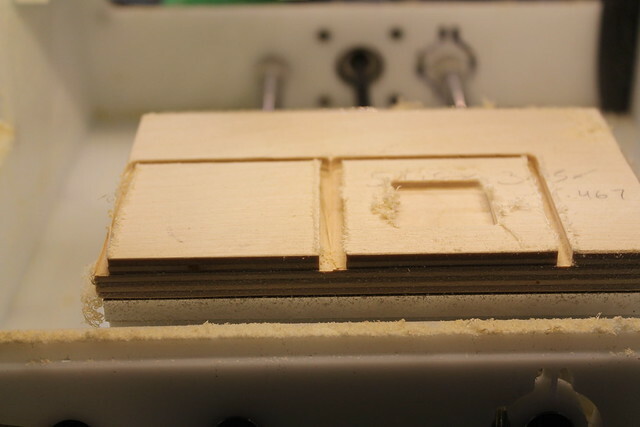 Othermill provides a bracket that tells OtherPlan the precise location and orientation of any material aligned to it. Typically used when milling PCBs. Using digital calipers, you should accurately measure the size of the stock material you plan to mill. Take special care in measuring the thickness of the material, thickness errors are one of the main culprits to breaking bits. You can load .svg files directly into OtherPlan, the software that runs the Othermill. Shapes and lines will be treated as either a cutout or an engraving. Let’s consider the following shape — a 2″ by 2″ square with a 1″ by 1″ square hole in the center, extruded the thickness of the material. If we wanted to draw the top view of this in a vector program, it would look something like this. 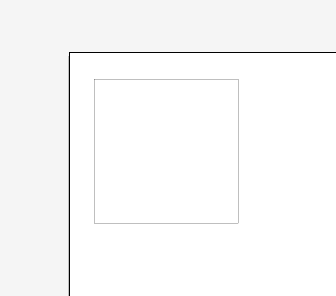 And if we were to load this .svg into OtherPlan we would get the following. OtherPlan treated the outer square as a cutout but the interior shape was ignored. So OtherPlan does not treat vector files the same way the laser cutter does. 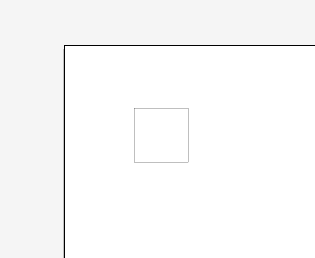 Let’s fill in the center square. And load into Other Plan. It treats the filled in square as an engraving. 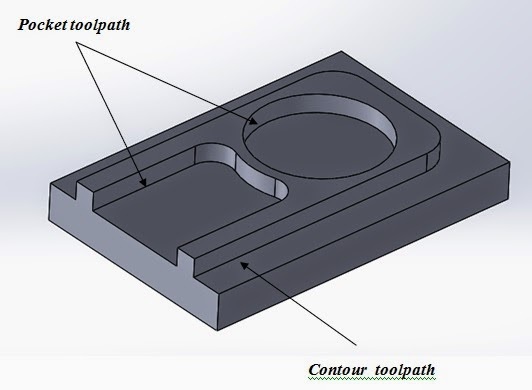 And the engraving step is performed before the cutting step by default. 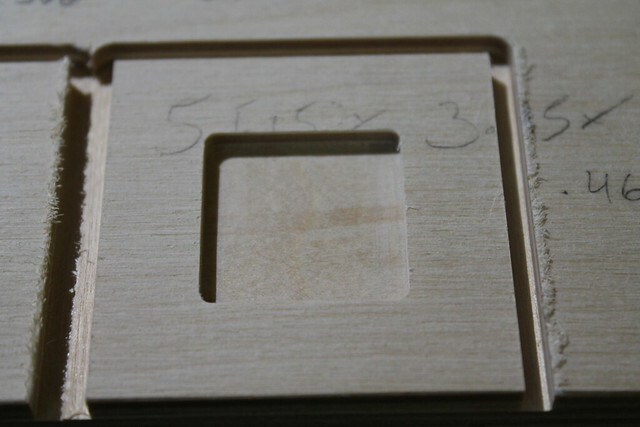 The engraving operation removes all of the material that is inside the black square. Technically, the material can be engraved all the way down to the mill bed and we would ultimately get the shape we want. But this would take a very long time. Let’s create two separate .svg files, one 2″ by 2″ square and one 1″ by 1″ square. 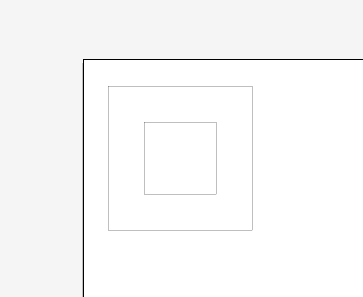 And position the inside square into the middle of the outside square. This job will perform two cutting operations: one for the inner square, one for the outer square. 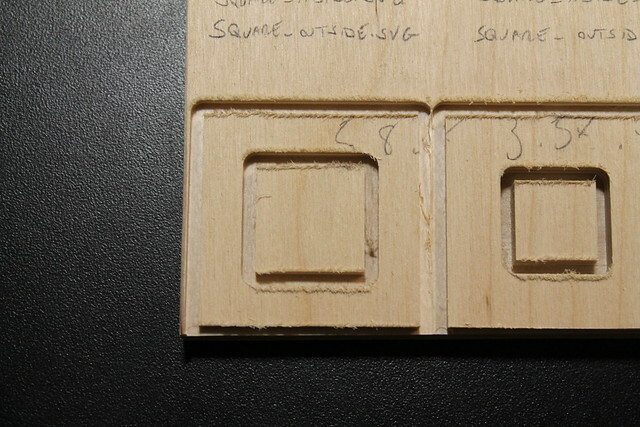 But the inside square was cut on the outside of the line and the inner square has a dimension of 1.25″ by 1.25″. A smaller inside square file must be used. The square is .75″ by .75″, twice the diameter of the bit has to be subtracted from the length and width. 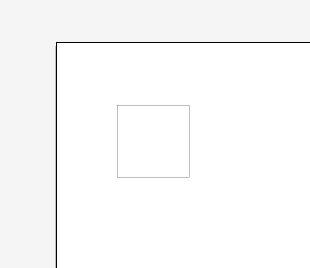 Load it with our original outside square file in OtherPlan. This will give us the desired final shape we want in the quickest amount of milling time. This can also be accomplished by turning on Bit Breaker mode in Preferences and choosing to cut on the inside of the line of the small square. If you want to accomplish the shape using only one file, the engraving operation can be shortened considerably if you were to use a .svg like this. Only the black area will be engraved. 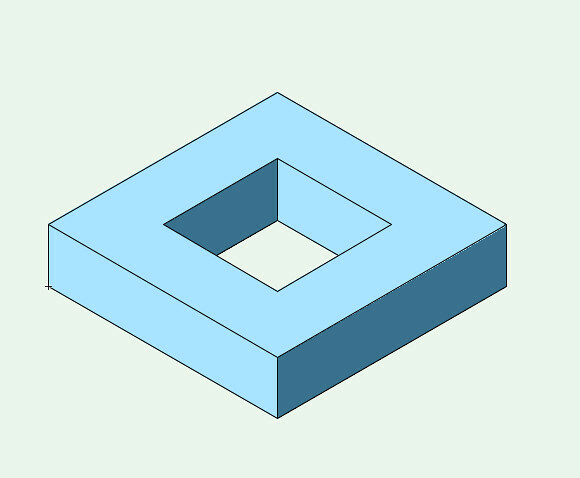 Examine an interior corner of a part that you have milled. It will look something like this. 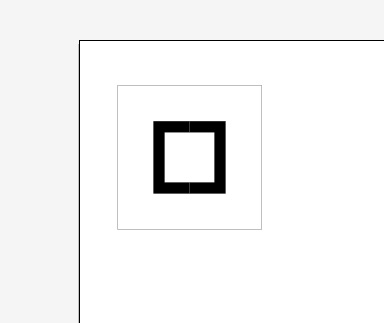 All of the corners are rounded. Interior corners will always have the same radius as the bit you are using. 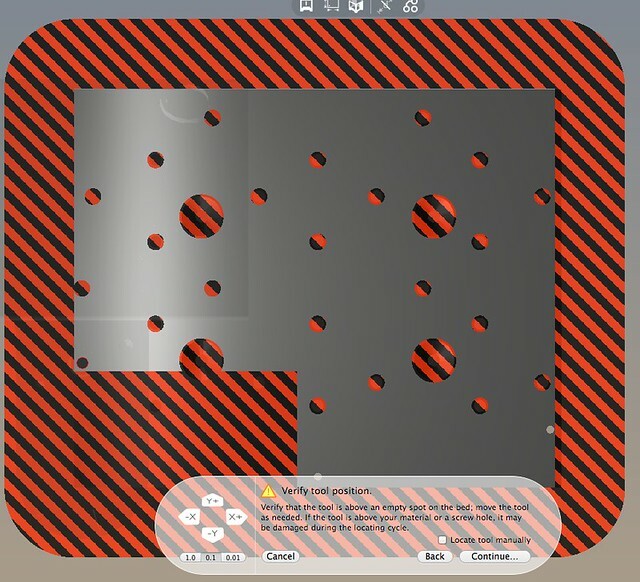 Click the “Loading” button on OtherPlan, this will move the mill bed to the front of the machine. Then, carefully pull up on the material till it comes free from the bed. 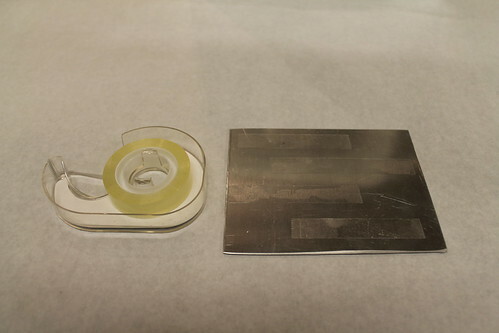 Remove any tape left behind on the bed using Acetone and a paper towel and vacuum out the machine. 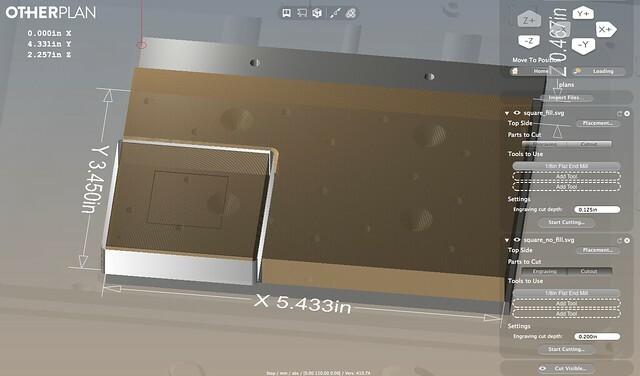 Milling Acrylic/Plywood – You will become familiar with desktop milling set ups, milling acrylic, and creating 2.5D parts from .svg files in the Milling Acrylic/Plywood skill builder.